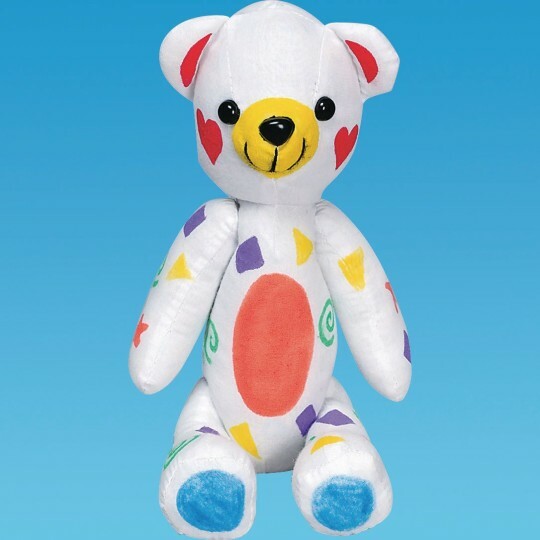 Make your very own bear! 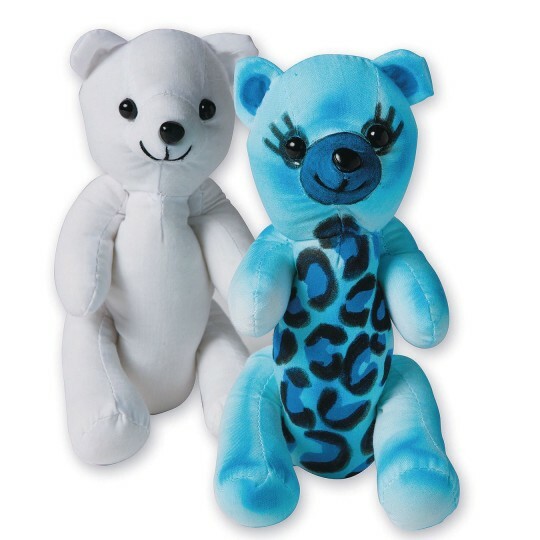 Give your special bear an outift to wear, add tuffs of hair or any kind of flair! 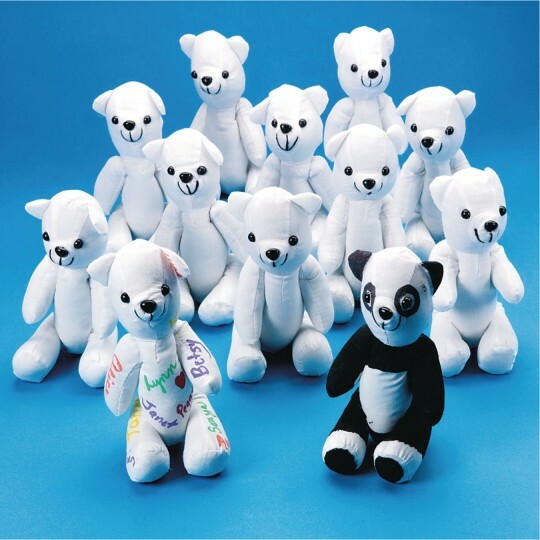 These white fabric bears make a cute canvas all ready to be creatively colored with markers or paint! Or you can create your own tiny clothes to dress them! 2-3/4"W x 6-1/2"H. Pack of 12. There is an author in Detroit who wrote achildren's book called Cuddles about a littleboy who helps his grandmother make teddy bearsto give to people who are sad lonely etc.as a hug from her. Each child received a copy of thebook and I had them decorate a bear either to keepor give to someone. It was near Mother's Dayso I suggested they give it to their momsor grandmothers. We have an Author in Detroit who wrote a children'sbook about a little boy whose grandmother makesbears to give to children or adults who needed a hug. 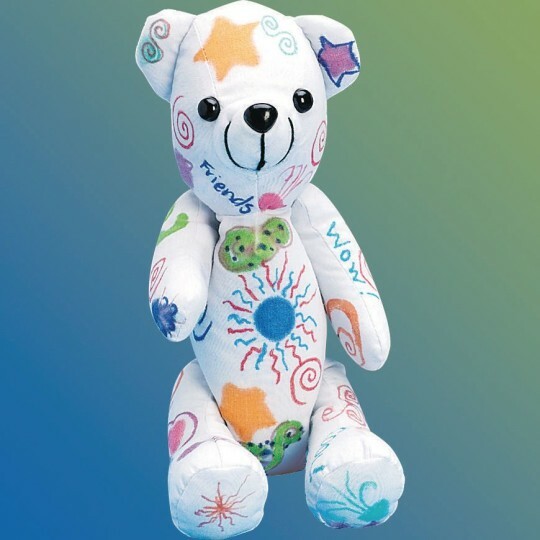 Each child received a copy of the book and we read it at the library and the children decorated their ownbears with fabric markers to give to someone.We did this near Mother's Day so they could give themto moms if they wanted. Good product nice size. Used markers and the color didn't bleed together. The markers did rub off on our hands as we moved around the bear though. 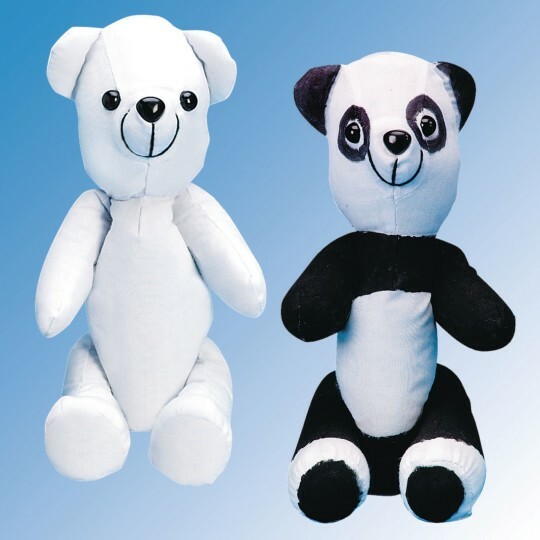 We used these as a party favor for my twin girls 6th birthday party. All the kids loved them from babies through teenagers and I actually wish I had ordered more since all the kids wanted to do two. Our clients love this activity they color them and add ribbons.